Back in April, I announced my participation as a member of a special advisory board for The Economist Intelligence Unit (@TheEIU), the research arm of The Economist Group, which was tasked to help determine the Top 25 Social Business Leaders out there today. Aside from myself, the board included prominent social business thought leaders Lisa Gansky (@instigating), chief instigator at Mesh Labs, Brian Solis (@BrianSolis), principal at Altimeter Group, Maria Winans (@MariaWinans), vice-president of social business marketing at IBM, and Nick Blunden (@nickblunden), senior vice-president and global head of digital and content strategy, The Economist Group. 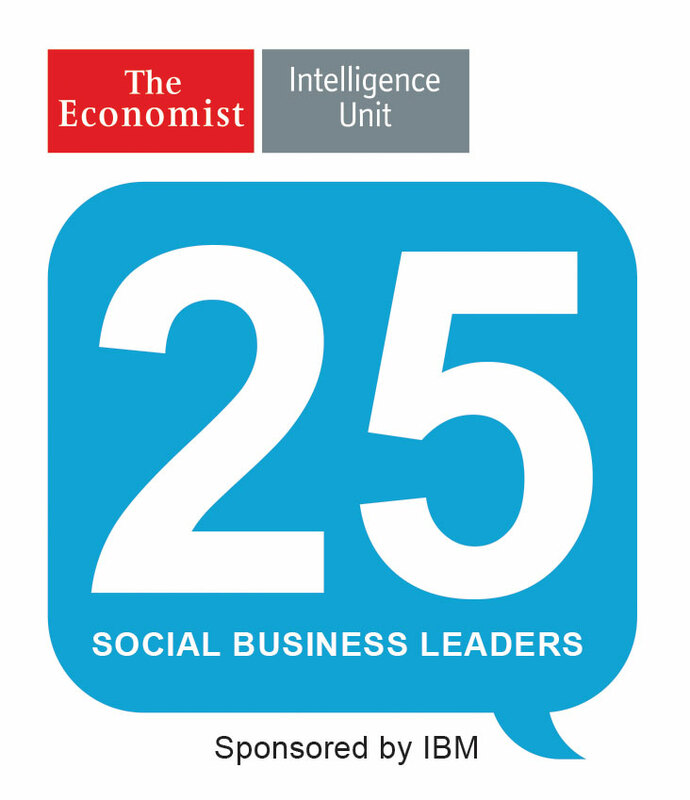 Today, we are thrilled to unveil our list of the EIU’s Top 25 Social Business Leaders to the world. This list was developed as the cornerstone of an EIU program, sponsored by IBM (@IBM), exploring the transformative role of social technologies and new social business strategies in modern organizations. Please take a moment to view the list in its entirety, and be sure to congratulate all these fine people, who truly represent the cream of the crop of social business leadership. Also, please kindly use the hashtag #socbiz25. Qualities that describe leaders in social business, or the use of social technologies, processes, and principles internally and with external clients to promote an organisation’s business goals and, ultimately, drive revenue. Storytellers: Provides an authentic voice for their organisations that is underpinned by an understanding that authenticity, transparency, and customer trust are key to fostering engagement, loyalty, and, ultimately, sales. Culture shapers: Inspires employees to work in ways that are collaborative. Connects individuals and facilitates the sharing of knowledge and ideas across his or her company, based on a social vision for the whole organization. Innovative leader: Facilitates collaboration internally and externally. Develops nimble team structures so ideas can be swiftly shared and the best can be implemented. Creates an environment that supports innovation and transformation. Data-driven decision-makers: Uses analytics to gain actionable insights into the performance and activities of stakeholders. Presents compelling stories to management to gain strategy buy-in. Strategic thinkers: Implements appropriate social technologies, policies, and governance across his or her organization. Speaks both “tech” and “business”—and chooses from digital trends effectively to develop strategies that add business value. Entrepreneurial visionary: Maintains and encourages innovation and an entrepreneurial approach to social work processes. Views technology as a tool to bring people together, and embraces failure as feedback.